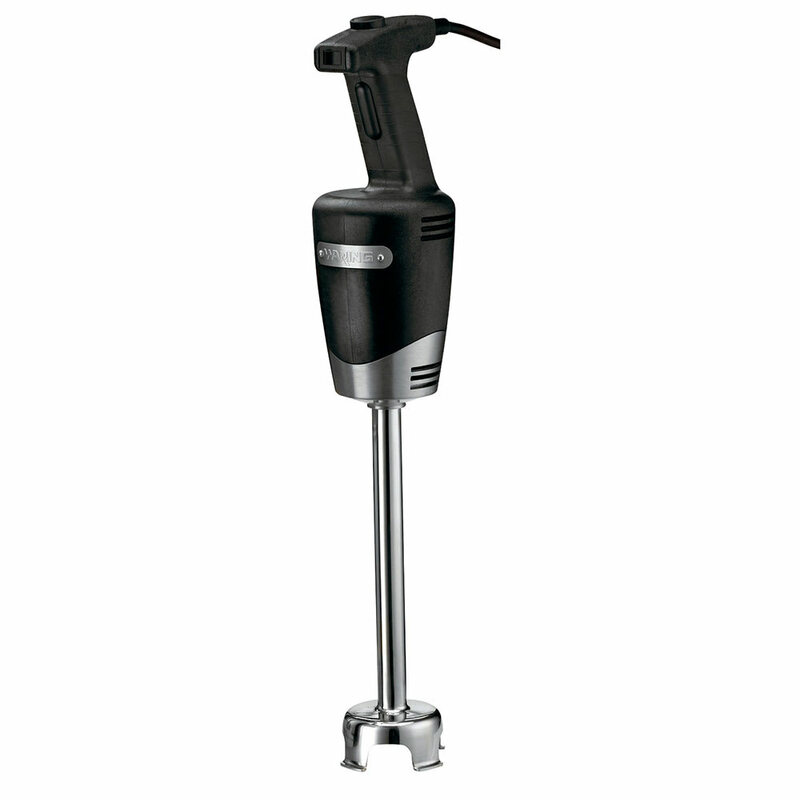 The Waring WSB40 Quick Stik Plus™ immersion blender is great for smoothing out soup, salsa, sauces, and more. Its motor can withstand repeated use since it is heavy duty. There are two speeds available for different applications, including whipping and emulsifying. To provide comfort for extended use, this unit has a rubberized comfort grip on the handle. 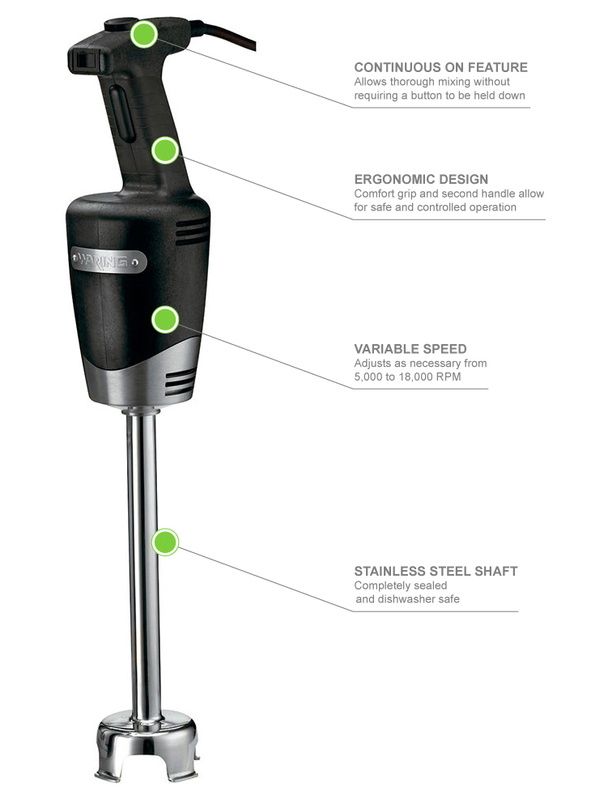 With its stainless steel blade and shaft, the Waring WSB40 Quick Stik Plus immersion blender withstands use in commercial settings. It is safe to use in pots with a maximum 24-quart capacity. More information on immersion blenders can be found in our blenders, food processors, and immersion blenders article. "Great price great purchase very happy with It"
"I have purchased the commercial mixer from KaTom company online last month and I got a replacement from them after the old one did not work. I ca..."
"Ours broke Model # WSB 40 Waring Company will not stock any parts for this unit. Beware before you buy this type. If you don't believe me try to..."
"I have purchased the commercial mixer from KaTom company online last month and I got a replacement from them after the old one did not work. I called the KaTom staff they were so nice customer services they got replaced right away. Thank you for your great service. AKRUN Muong." "Ours broke Model # WSB 40 Waring Company will not stock any parts for this unit. Beware before you buy this type. If you don't believe me try to look it up for parts on the Waring Company website"
"Our company bought a Waring Hand Blender WSB 40 and after a few times of use it stopped working. Waring said it had a warranty for one year that is it. I took it apart only to find a plastic part that cracked. The plastic part connects the motor to the blender shaft. I contacted the parts dept. for Waring they do not sell any parts for this unit. You have to replace the entire blender. Check with Waring before you buy something that cannot be fixed." Powerful product for the price! "I have a soup business. 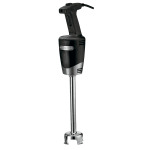 This immersion blender is perfect for blending soups right in the stock pot."